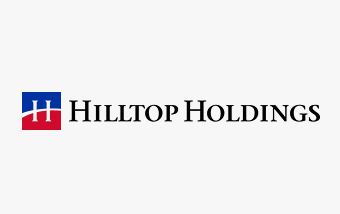 Hilltop Holdings Inc. (NYSE: HTH) is a Dallas-based financial services holding company. Through its wholly owned subsidiary, PlainsCapital Corporation, a regional commercial banking franchise, it has three operating subsidiaries: PlainsCapital Bank, PrimeLending, and First Southwest. Through Hilltop Holdings’ other wholly owned subsidiary, National Lloyds Corporation, it provides property and casualty insurance through two insurance companies, National Lloyds Insurance Company and American Summit Insurance Company.